CBK-55PD must be fitted at a Sony Service Center (installation fee may apply). Firmware update V5.0 is also required. Supports ProRes 422 (HQ) 10-bit Full HD and ProRes 422 10-bit Full HD at 23.98P, 24P, 25P, 29.97P, 50i, 59.94i, 50P and 59.94P. 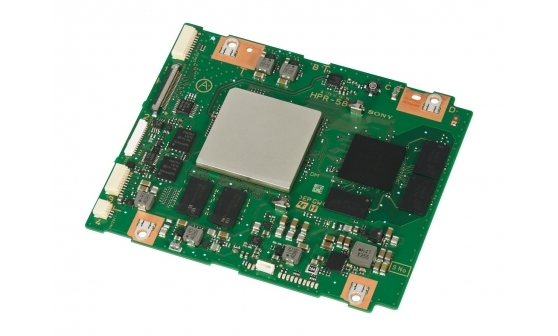 The CBK-55PD Codec Board supports the following recordings with the PMW-F55 and PMW-F5 cameras: ProRes 4444 12-bit Full HD at 23.98P, 24P, 25P and 29.97P: ProRes 422 (HQ) 10-bit Full HD and ProRes 422 10-bit Full HD at 23.98P, 24P, 25P, 29.97P, 50i, 59.94i, 50P and 59.94P; DNxHD 220x 10-bit Full HD and DNxHD 145 8-bit Full HD at 23.98P, 25P, 29.97P, 50i and 59.94i. NOTE: CBK-55PD must be fitted at a Sony Service Center (installation fee may apply). Firmware update V5.0 is also required.